That means it’s now a year old and Season One is officially, as the movie types might say, ‘in the can’. 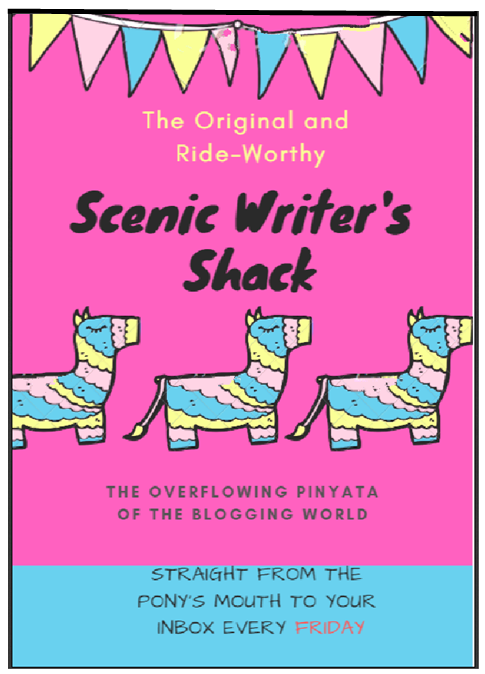 Not many of you have heard the story of how this blog came about, or how it almost had the plug pulled on it after taking just its first couple of breaths, so… on the eve of the first anniversary of SCENIC WRITER’S SHACK, allow me to share with you the events of that fateful morning back on December 30th 2016. After a number of years as a practising sideline commenter on other people’s blogs, I decided sometime during last year’s Christmas holidays that perhaps it was time I acquired my own digital digs with an online space I could legitimately call my own. In a fit of boredom fuelled equally by curiosity to find out if I had the technical smarts to create digital life in this form, I set about the task like some mad inventor with glassed over eyes in a dusty lab. Incredibly (to me! ), within less than 20 minutes, the spawn of my creation was up and running and I was now father to a bouncing baby blog. There is, however, something few people know. Something I have kept hidden all this time, the guilt of which has, in many moments, been an almost impossibly weighty cross to bear. For the first few hours after the birth of SCENIC WRITER’S SHACK I was consumed with the most dastardly thoughts of ending the life of this innocent newborn. Ending it in the most devastating and final way before anyone had a chance to lay eyes on ‘it’. Why? Because I was unsure of what I had done. Unsure if I wanted to step onto the stage of public opinion and allow my creation, and by extension myself, to be exposed to the harsh light of judgement. And then, after several hours of this torturous indecision about whether or not to finalise the life of the creation I had just single-handedly brought into the world, a funny thing happened. I got my first follower. It was a High School teacher who lived 14 000km away on the other side of the world in Atlanta, USA. His name was Matt Pavlak. (View his own blog here) Bolstered by that initial interest and show of belief from one single other human being, I decided to spare the hours-old life of my kicking and writhing offspring (who at that moment was already attempting to curl its tiny fingers around my pinky) and from that day forward I’ve become hopelessly hooked on the feeling of attracting fresh sets of eyes and minds to what I’m writing. Like any year, 2017 came with its own variety of highs and lows – and I recorded a few of them on this blog. My car crash back in April with my seven-year old daughter inside at the time definitely served up one of life’s not so pleasant curve balls (no injuries sustained). But equally my first placed entry in the New Yorker Caption Competition in May was reason for celebration (considering it took me 105 consecutive weeks of trying!). However there can be no doubt who the real star of SCENIC WRITER’S SHACK debut season has been. She of the wilting death stare – she of the elbows cocked, cage-fighter- worthy tough-walk – the one-of-a-kind stalking femme fatale of shopping centre carparks, the snarling and untamable devourer of innocent women and children – I speak of course of none other than Megan the Malpractising McDonald’s worker. Anyone who’s been following this blog from at least as far back as July will remember my encounter with this evil-spell conjuring 18-year-old assistant McDonald’s manager based at Indooroopilly Shoppingtown and the wash up to the ‘inquiry’ that was launched to bring young Megan to account. God that was a ride and a half! This ‘coke & fries’ flavoured little misadventure was the only topic during 2017 that somehow managed to stretch across three consecutive weeks of posting. If you’re reading this Megs, I have some none-too-original words of wisdom for you. Ready? What doesn’t kill you makes you stronger. Actually, who am I kidding? Those words are for both of us Megan! Shortest Post – The very first. Longest Post – You’re reading it. While figures like these won’t put me in the league of Kim Kardashian, Selena Gomez or celebrity gossip site TMZ any time soon, they are nonetheless MY figures, and at this particular juncture in time, I’m pretty proud of them. With in excess of 400 million blogs in operation throughout the world (with as much as 30% of that figure thought to include still registered blogs that have been abandoned after only weeks or months) I figure it’s only right I should leave some followers for the others. Right? Now seems the perfect time to thank the people who’ve been along for the journey since back in January as well as those who’ve joined more recently. A special thank you must be extended to my already mentioned very first follower Matt Pavlak as well as the entire GASS crew. Without you guys I definitely wouldn’t have a blog, or if I did, it would be a very scaled down version of what is already a pretty humble little enterprise to begin with. 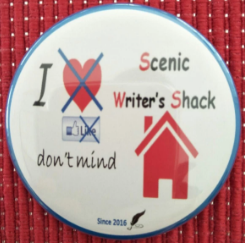 I’d also like to acknowledge all the people from outside of Australia who have signed up to be followers of SCENIC WRITER’S SHACK as well as the professional authors who I’ve somehow managed to convince to allow their inbox’s to welcome my often rambling, pop-culture heavy posts. Last of all I’d like to thank my Mum who reads every post. And with those words of recognition still rebounding pleasantly in your ears, if any of you are interested in signing up to my Platinum VIP Subscribers Package *, please just drop me a line! That goes for you too Mum! Season One has been a lot of fun. I live in hope** that Season two will be just as wacky, just as trivial and self-absorbed and just as unflinching when it comes to tackling the big issues, like sorting why burgers and kebabs fall apart in your hand when you’re trying to eat them or why Siri can’t pronounce your name or identify a particular song title. See you all on the other side (of 2017) for the mad-cap, (possibly) hilarious 2nd Season! * There is no Platinum VIP Subscribers Package. There is however a Gold VIP Subscribers Package and, sad to say, if you’re able to read these words now, you’re already signed up to it. ** I heard someone observe recently that “Despair is a walk in the park. It’s hope that kills you.” With that in mind, I will keep my expectations for SCENIC WRITER’S SHACK’s 2nd Season suitably contained. If your favourite food over this Xmas holiday period has been seconds, then at least one thing is certain – you’re not alone! ‘Tis the season when lapsed exercise routines and eating like an entitled King or Queen is what passes as normal. Around this time of year a lot of folk could list their hobbies as eating and complaining they’re getting fat. But not if you’re the little furry guy pictured in the first frame above. See, he’s got a neat trick involving using a certain part of his body to store up to half his body weight. I’ll tell you where and which body part in a moment. Where in their bodies can hamsters store half their own bodyweight? Pss. At this time of year many people release their ‘Best Books of the Year’ lists. I used to like a tv crime drama show called NUMBERS. Don’t expect many others will remember it. Produced by Tony and Ridley Scott, the series ran for 118 episodes and six seasons between 2005-2010. “We all use math every day. To predict weather…to tell time…to handle money. Math is more than formulas and equations. It’s logic; it’s rationality. It’s using your mind to solve the biggest mysteries we know”. Do you know what number follows on after a million, billion and trillion? Answer, as you just saw, is a quadrillion. What’s your favourite number.. and why? What to do if you’ve lost your phone. Is Shakespeare better than the Simpsons? Why do I feel guilty walking past a beggar? How do I get to be one of the good guys? Never trust a person who hangs their laundry over the balcony of a multi-storey apartment block. Unless of course they happened to be living in Hong Kong back in 1974. In which case as this photo proves, it was perfectly acceptable. Back during this time, the island of Hong Kong, located off the southern coast of China, was still a colony of Britain. It wasn’t until 1997 that Hong Kong was handed over to the People’s Republic of China by the United Kingdom. In the year of 1974, Murray McLehose founded the Independent Commission Against Corruption, in order to combat corruption within the police force. The extent of corruption was so widespread that a mass police petition took place resisting prosecutions. Despite early opposition to the Commission by members of the police force, Hong Kong was successful in its anti-corruption efforts, eventually becoming what today is regarded as one of the least corrupt societies of the world. Ps. A previous generation of word ‘enthusiasts’ (I could have said ‘nerds’ but I prefer not to) had the seminal Strunk ‘N White’s THE ELEMENTS OF STYLE as their go-to reference for all things language-convention related. Now comes a new word style bible for the internet age called A WORLD WITHOUT WHOM. Written by author Emmy J. Favilla who is credited as head writer for the New York based internet media company Buzzfeed (which has inexcess of 700 employees) who specialize in social and entertainment news with a focus on digital media, this book has been described as a witty take on communicating in the era of Twitter, Snapchat, Facebook, email, texts and blogs. Pss. Your bonus read this week is a guest post I’ve written on the subject of writer’s notebooks for U.S based blogger Matt Pavlak’s site ACCIDENTALLY INSPIRED. Piracy has plagued the music industry since its inception. In the context of copyright infringement, the term ‘pirate’ is more than 300 years old. Yet as U.S author Stephen Witt makes clear in his book HOW MUSIC GOT FREE, the perfect storm of technological innovation that took place beginning in the mid nineties with the birth of the internet and later the mind-boggling advances in digital music compression methods along with the enabling of file-sharing and streaming, allowed for the plundering of an entire industry on an industrial scale never imagined as being possible before, by a generation of entitled teenagers and twenty-somethings that truly believed the idea of compensating artists for the music they created was unnecessary and the whole notion of copyright was an outdated legal concept from the 18th century. Witt recounts how when Sony had its Walkman craze back in the 1980’s, the music industry sold tens of millions of tapes. Alongside the Discman craze that followed, the music industry also sold ten’s of millions of CD’s. So, doing the maths, the success of the MP3 player beginning from the late nineties should have also meant tens – no hundreds – of millions in sales of legally purchased MP3 songs and albums. The great problem was it never did, principally because there existed (and still exist) multitudinous ways to illegally download the same items at no cost. Ten million iPods sold in stores should have meant ten billion songs sold through iTunes. Again, never happened. Legal digital downloads have grown since those first ‘free-for-all’ days of the late 90’s all-out attack on intellectual property rights and copyright, but nothing like what was needed to compensate the record companies amidst the death rattle of the compact disc which we have all been witnessing for the last few years. At the heart of HOW MUSIC GOT FREE lies a bigger issue that reaches far beyond the boundaries of the music industry. It is the idea that the internet can and perhaps should function as a store of all human knowledge and experience that can be accessed by anyone for free, leading to a thriving public domain and rapidly increased rates of innovation for which all humankind is the beneficiary. Seen this ‘bigger picture’ way, one can more readily accept the notion that in the quest for the development of knowledge and ideas for the greater good of society in general, individual industries may need to be sacrificed in order that others thrive. To this end, whether one sees the forced ‘liberation’ of the recording industry as the work of idealistic revolutionaries or racketeering criminals is entirely a matter of point of view. In the meantime, Stephen Witt has written a forensically researched book that lays bare in compelling year by year detail what may be regarded as one of the greatest criminal conspiracies in the history of forever to subvert copyright and in the process bring down an industry. Want more? I give you more. Ps. Your first bonus read this week is a short story called COLD CALLING. Word of advice – you might want to have a stiff lemonade on hand for afterwards. Pss. Your bonus bonus read this week is an article from THE GUARDIAN about the theft of 160 very rare and old books from an East London warehouse earlier this year. The crime to date remains unsolved. Thieves broke in through a roof skylight and avoided a security alarm system to make off with books dating back to the 15th century. Books stolen include original works from Leonardo DaVinci, Galileo and Isaac Newton. “HOW MUSIC GOT FREE” written by U.S. author Stephen Witt documents in brilliantly researched detail the roughly decade-long-period from the mid 1990’s through to the mid 2000’s that witnessed the explosive growth of the on-line ecosystem dubbed the ‘World Wide Web’ and the resulting never-to-be-fully-recovered-from crippling of the global commercial music industry. In terms of revenue earned, the music industry that exists today in 2017 more resembles the ‘after’ picture of an obese person who’s undergone drastic weight loss surgery. HOW MUSIC GOT FREE begins with an account of a group of German inventors who specialised in running experiments into the way humans perceive sound and, after years of being cloistered away in secret listening labs, emerged with a technology they named MP3 that would not only conquer the world but in doing so also unleash pure chaos on a worldwide industry. The true-life cast of characters in Stephen Witt’s book are in the main a hobbit-sized collection of super crafty, ‘Beautiful Mind’ type nerd-geniuses attired in sandals, socks and Hawaiian shirts who, after undertaking literally tens of thousands of hours of trial and error investigation, discover a method to drastically compress sound using a super-computed-devised splicing device. It helps the reader to know that information in the digital age is stored in binary units of zero and one termed ‘bits’ and that the goal of any music compression technology is to use as few bits as possible. In its day, compact disc audio used to use 1.4 million bits to store a single second of sound. Using microscopic snippets of sound sorted into narrow bands of pitch – the audio version of pixels – MP3 technology could do the same using just 128 000 bits. Coupled with encoded algorithms, flawless, elegant computer code and a veritable thicket of filed patents, what soon followed was the ability to ‘stream’ and ‘digitally store’ music, sending it directly to the user from a central computer server. A generation of adult adolescents now had the limitless capacity to reproduce and share music files, and neither the income nor the inclination to pay. From humble beginnings – the first consumer grade MP3 player was a box-sized contraption with a tiny monochrome screen that cost $600 and held five songs – this lab-conceived revolution heralding the new digital age of music very quickly launched nothing less than a tsunami of copyright infringement. Together with the rise and rise during these years of the dot.com deluge, the idea of compensating artists for the music they created rapidly came to be seen as some kind of quaint, antiquated belief held by an enslaved music-buying public of a previous era which no longer applied to generation Eminem. Anyone who had ever paid full price for a forcibly bundled collection of songs called an ‘album’ only to find one good track on the entire record, cassette or CD could suddenly feel rightly justified in ‘ripping’ free music from the once powerful and all-conquering record companies. With the birth of ‘shareware’ and ‘burning’ of files, stealing music had been taken to a whole ‘nother level and the file-sharing revolution was in full swing. Then when Apple launched its first iPod in October of 2001 (which saw its share-price septuple before the year was out) they succeeded in not only creating the most popular gadget in the history of stuff but also elevating musical piracy from an underground subculture to the mainstream. As HOW MUSIC GOT FREE ably shows, these elements as well as the paradigmal shift in slimmer ‘n trimmer economics that was taking place in western societies of the day spelled disaster for record companies and an entire industry sent into profit freefall was the result. In a world of largely unregulated digital abundance, it suddenly became much harder to make money. By 2010, the global commercial music industry was less than half its 2000 size. From the smoking wreckage emerged ridiculous discounting from artists like Lady Gaga who sold her album BORN THIS WAY for 99 cents via legal download. Going one better were artists such as Prince and U2 who famously each gave away newly released albums for nothing. Legal download sites like iTunes came into existence and sought to restore revenues to the music industry via alternate pay models but have so far managed only to generate drop in the bucket revenue streams for the major labels compared to the golden years that belonged to the previous four decades. This Friday I conclude my three-part look at the file-sharing revolution of the late nineties and early 2000’s and its devastating impact on the once mighty record companies of the day as revealed in Stephen Witt’s book HOW MUSIC GOT FREE. What better way to kick off discussion of a book documenting the rise and rise of illegal music downloading than with a confession. From the age of eleven, I openly flirted with what might reasonably be termed, at least in the context of what’s about to be talked about here, low-grade criminality. See, for at least a good decade, I was pretty handy at and was quite frankly an open practitioner of, the home music-taping craze that began sometime around the late seventies and continued on right throughout the 1980’s. Every night after dinner I’d be ensconced in my bedroom, seated at my flourescent lamp-lit wooden study desk with one eye on my ‘social studies’ homework while two lightning fast trigger fingers were poised at the ready hovering like the tallons of a ravenous eagle over the plastic ‘Play‘ and ‘Record’ buttons of a cutting edge piece of tech known back then as a radio cassette recorder (with a duel-head tape deck – I can still talk 80’s when I need to!). Junior criminal mastermind that I was, I’d have my ear cocked like a soldier on midnight sentry duty listening for the opening notes of any of my favourite songs. When one started playing, I’d spring into action literally at the speed of sound and slam down those two next-to-each-other plastic buttons on the cassette recorder faster than you could say “Video Killed the Radio Star” and whamo, the net was dropped on another Top 40 piece of free ‘tune loot’ I’d most likely had in my aural crosshairs for days, maybe weeks. I made countless mix tapes by this means and in doing so denied the recording industry of the time, of what, over the years, would have amounted to thousands of dollars of income had I chosen to buy this music on cassette, vinyl record or later CD at the bricks ‘n mortar music stores you don’t see around anymore. And like flared jeans, Kodak ‘Brownie’ cameras and Radio Station 4IP (later briefly Radio 10) that all seems so long ago, some days I wonder if maybe I imagined the whole thing. Fast forward twenty-five years to the early 2000’s and courtesy of the advent of the internet coupled with file-sharing and streaming technologies not to mention the birth of the MP3, and the plundering of an entire multi-billion dollar industry was now happening on an unprecedented industrial scale. While four decades ago, I and armies of adolescents like me, armed with $50 radio cassette recorders and enough patience and spare time, could eventually gather together a handpicked collection of songs without paying for them simply by waiting around for hours on end for the right Top 40 hit to come on the radio at a randomly selected moment chosen by the radio station, by the early years of the 21st century with the digitized assistance of such major league behemoths of the ‘ripping’ scene as Napstar and BitTorrent, stealing music had become an infinitely easier and far more abundantly rewarding past time than previous generations could ever have imagined possible. Millions of songs along with the entire albums from which these tunes were birthed were now available for free 24 hours a day at the click of a mouse. How exactly the music industry of this time was brought to its knees quite to this extent is the subject of the book HOW MUSIC GOT FREE, written by U.S author Stephen Witt. Stated simply, this is one of the most unputdownable books I’ve read in recent years, which, in a great many of its chapters, is written more in the style of a Tom Clancy hi-tech espionage thriller than a modern history account. In my next post I’ll attempt to lay bare some of the advances in music compression technology that gave birth to the MP3 revolution and unleashed pure chaos on an industry that was transformed forever, and today, in terms of earned revenue, resembles nothing but an emaciated shadow of its former self. Ps. Recently I mentioned a newly released short story collection by Hollywood A-lister Tom Hanks called UNCOMMON TYPE. The book features 17 stories that all revolve around, to varing degrees, typewriters. Apparently Hanks is a vintage typewriter collector. With that in mind it’s understandable he (and a company called Hitcents.com) have released a free app for iPhones and iPads that reproduces the sound and feel of typing on an old manual typewriter (including the ‘bing’ sound when you reach the end of a line plus the manual carriage return audio fx). If you have a nostalgic hankering to return to a part of your pre-digital life, check out the app HANX WRITER. Pss. It may have taken 174 years but someone’s finally written a sequel to Charles Dickens‘ novella A CHRISTMAS CAROL (published in 1843). It’s called TINY TIM AND THE GHOST OF EBENEZER SCROOGE. Psss. Speaking of Charles Dickens, there’s a new movie out based on “the inspiring true story” of how he wrote A Christmas Carol. It’s called THE MAN WHO INVENTED CHRISTMAS and stars Christopher Plummer. Pssss. Sporting bio time again! Everyone’s favourite Melbourne Storm fullback Billy Slater has just released his autobiography and will be signing copies this Sunday morning at Garden City Shopping Centre Mt Gravatt. Book clubs? They need their head read! I’ve never been in a book club. Nor have I known any other male who has. For the majority of my life I’ve not been what you might reasonably term ‘a joiner’. The idea of meeting once a month in a public place such as a library or coffee shop or alternatively someone’s house to come together with a bunch of people I may have nothing else in common with besides a love of (some) books, to give a chillingly lifelike impersonation of a 1st Year English Lit Uni student dissecting and pontificating on a book I probably wasn’t overly keen on reading in the first place – selected by another person – never struck me as my idea of a kick-up-your-heels, slap-dash good time. Throw in an extended meditation on the ethics of pronoun preference and I’d be snoring like an outboard motor while dreaming of bathroom and plumbing displays at Bunnings before you could say “Existential counter-argument”. While book clubs abound (via local libraries and MEETUP) and I have been known to tune into ABC TV’s FIRST TUESDAY BOOK CLUB (hosted by Jennifer Byrne and now in it’s 8th season), it seems I am not alone in my distaste for this form of organised literary intellectualism. “I know people are mad for book clubs but I’m not one of them. I’ve been in quite a few book clubs over the years and while everyone in them has been really lovely, I can’t say I’ve enjoyed them. Book clubs are for those who like that kind of thing. Me? I’d rather sit on a cushion of rusty nails than debate what I think vs what others think in an atmosphere that, from what I’ve heard and read from others, can tend at times towards a sort of aggressive intellectualism and intelligence one-upmanship. Ps. Last week I mentioned the release of boxer Jeff Horn‘s autobiography THE HORNET. Another published-this-fortnight sporting story worth reading is former tennis player Jelena Dokic‘s authobiography UNBREAKEABLE. Even though Dokic rose to the rank of World # 4 back in 2002, in some ways her personal narrative is a story of unrealized potential and what might have been, given the off-court dramas that dominated her tennis life (she ceased playing professionally in 2014) including her well-documented turbulant relationship with her father-coach Damir. Pss. There’s a new movie just started playing in Brisbane theatres called THE TEACHER. It comes highly recommended by a couple of people I know who’ve already seen it. The plot is intriguing to say the least. At the start of a new term at a suburban high school, a seemingly empathetic and kind new teacher, the middle-aged Maria Drazděchová greets her class. She asks them to introduce themselves and share what their parents do for a living, explaining that it’s important to know how their parents might collectively help the group. Soon after, she gradually begins to pressure both students and parents by seeking favours – grocery collection, handyman assistance, lifts and haircuts – and connecting them with special treatment in class and, most significantly, good grades. As the story progresses, Maria’s demands grow more complex and dangerous. Psss. 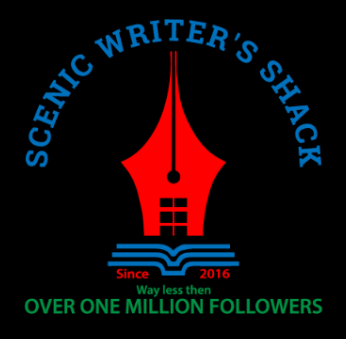 A big thankyou to all the loyal readers last week who helped me set the comments record for an individual post on SCENIC WRITER’S SHACK.